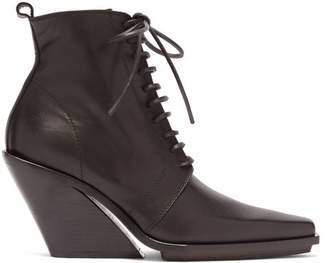 It's little wonder that Ann Demeulemeester has amassed such a cult following - being part of the Antwerp Six, alongside names such as Dries Van Noten and Martin Margiela, comes with serious fashion kudos. 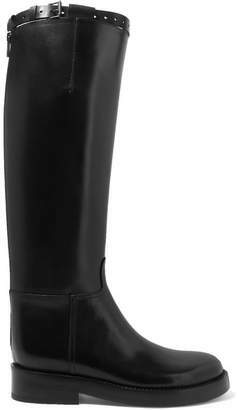 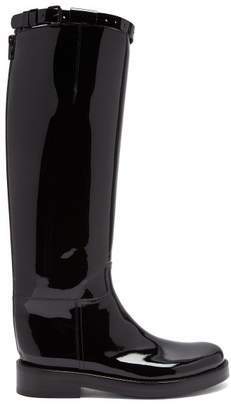 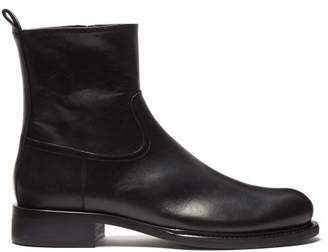 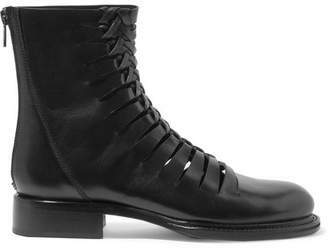 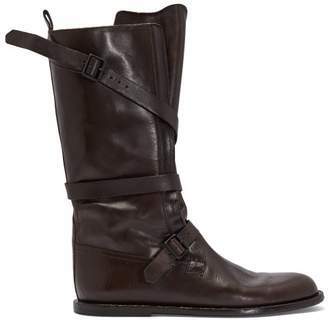 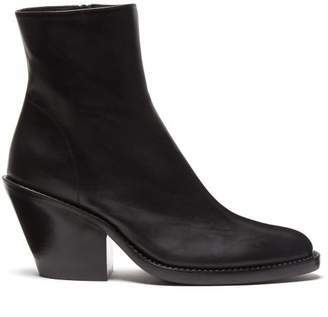 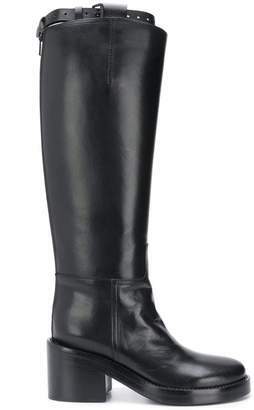 These distinctive glossed-leather ankle boots nod to classic cowboy styles but are minimal and completely pared back. 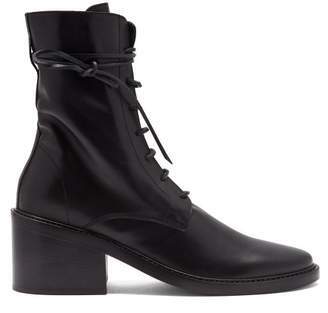 Set on an angular Cuban heel and finished with a bold square toe, they will offset cropped pants perfectly.